Planning for your children’s future is important but passing money on to them can often come with the worry of inheritance tax. It’s understandable that you would like your children, or grandchildren, to inherit as much money as possible and ensure they are financially comfortable. After all, we all like to spoil our loved ones. Gifting them the money. Everyone has an annual tax-free gift allowance of £3,000, meaning you could simply hand money to your children each year to help prepare them for their future, without any of the money you give being subject to tax. Putting your money into a trust. A trust establishes a fund that will be managed by a trustee (such as a dependable friend or family member). Your children (the beneficiaries) typically gain control of the trust once they turn 18. Setting up a Junior ISA. A Junior ISA is a quick and easy way to save money, tax-free, for your children until they turn 18 at which point, they gain control of the account. A Junior ISA works in the same way as a regular ISA, in that it is a tax-efficient way of saving or investing money. The main difference is that a Junior ISA is created specifically for under 18s, helping you give your little ones a head-start in life without eating into your own ISA allowance. You can save or invest up to £4,260 a year into a Junior ISA account for each child, and they’ll be able to access the funds once they turn 18. A Junior Cash ISA is a standard savings account enabling you to put money aside for your child without them paying tax on any interest earned. Similarly, a Junior Stocks & Shares ISA will help you invest your money in shares and other assets and your child won’t pay any UK tax if they make positive returns. If you’re concerned about inheritance tax on any money you are planning to leave for your children, a Junior ISA could be a good solution to put up to £4,260 a year aside for them. Pay off any debts or mortgage. You should aim to pay off any unsecured debts, like a student loan or credit cards first. Then, if your inheritance allows, perhaps you could enjoy a mortgage-free life too. Use your tax-efficient ISA allowance. Investing your money into a Junior ISA for your kids, or a Stocks and Shares ISA for you, is a good way to plan for the future. However, before you invest, ensure you have a good emergency cash savings fund set up – three months’ worth of outgoings is usually recommended. Invest in property. Buying a property to rent out is another way you could utilise your inheritance and plan for the future. Think about your children. If you have a family, or are planning one, why not set some of the money aside for their future, too, with a Junior ISA? Give to charity. Perhaps one of the most rewarding things you could do with your inheritance, and it’s also tax-efficient. However you decide to plan financially for the future, make sure you set out your goals work out the best ways to achieve them - whether it’s with cash savings, investing, property or a combination of all three! 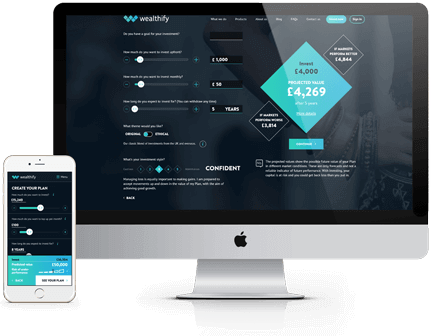 If you do decide to make investing part of your future plans, but would like a helping hand getting started, services like Wealthify are there to create and manage an investment plan on your behalf.